A couple from London are due to complete a three-week journey to every train station in Ireland and Northern Ireland. 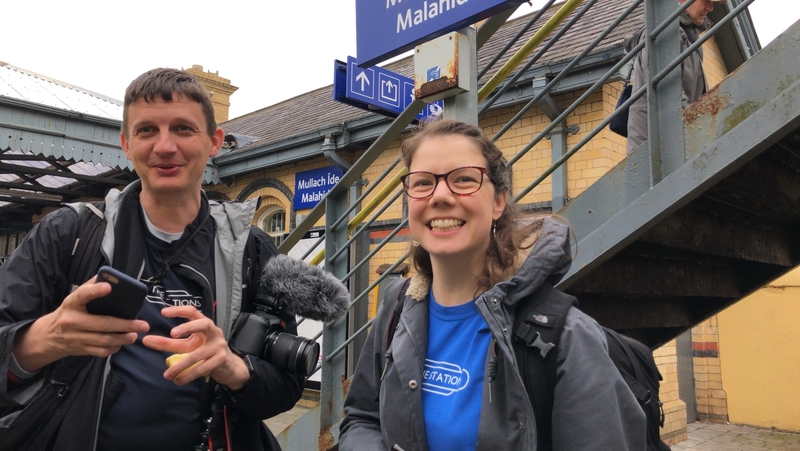 Geoff Marshall - a video producer and transport blogger, and Vicki Pipe - a presenter and museum education professional - will have travelled to all 198 train stations when they arrive in Derry later today. The pair have been creating an online video series, 'All The Stations', about the journey. The original 'All The Stations' series in 2017 saw the pair travel to every railway station in Britain all 2,563 of them. The 59 videos in that series have so far accumulated over 4 million views on YouTube. A couple from London are due to completea three-week journey to every train stationin Ireland and Northern Ireland. Class 22000 dmus stabled at Heuston Station, Dublin, on 23 March 2014. Evening view from Galway station in 1988 towards Galway Bay. A northbound service leaves Carrickfergus on 13 June 2017 formed by a class 4000 DMU, as the station cat patiently awaits the arrival of the next train to Belfast.